ABUJA (Nigeria) • Hours after Nigerian President Muhammadu Buhari met a schoolgirl rescued this week after more than two years in Boko Haram captivity, government officials announced on Thursday that another of the missing girls had been found. 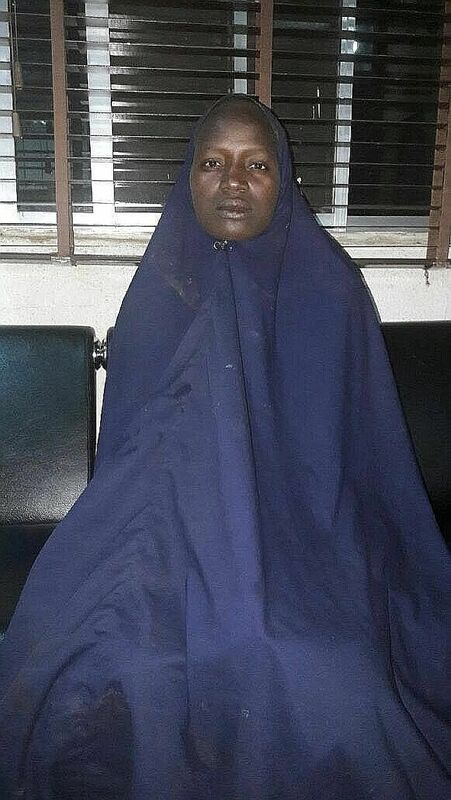 Soldiers and vigilante forces found the girl, Ms Serah Luka, during an operation on Thursday that killed 35 Boko Haram fighters and rescued 97 women and children, according to the military. Ms Luka, who the military said was receiving medical attention, had been attending a boarding school in the village of Chibok for just over two months when fighters raided and kidnapped the nearly 300 girls there during exam week in April 2014. Earlier on Thursday, President Buhari whisked Ms Amina Ali, who was found on Tuesday roaming a forest where Boko Haram fighters were in hiding, to Abuja, the capital, in a presidential jet. She sat in a plush leather chair in the presidential villa before the country's dignitaries and shook hands with the President, who held her sobbing four-month-old baby girl Safiya as he showed mother and child to journalists. Local vigilante fighters found a malnourished Ms Ali two days earlier as they were scouring the area for Boko Haram militants. She was with the baby and a man who claimed to be her husband. Government officials said the man was really a Boko Haram fighter. Her rescue was the first since a few dozen of the girls escaped in the days after the kidnapping in Chibok, just 48km away from where she was found. Now, 218 girls remain missing. They are believed to be somewhere in the Sambisa forest. On Thursday, Mr Buhari renewed a pledge to find them all. "Amina's rescue gives us new hope and offers a unique opportunity for vital information," he said. "The continuation of Amina's education, so abruptly disrupted, will definitely be a priority of the federal government. Amina must be enabled to go back to school. No girl in Nigeria should be put through the brutality of forced marriage. Every girl has the right to an education and a life choice." The abduction has been a political embarrassment for Mr Buhari, who took office last year after campaign pledges to find all the girls and stamp out Boko Haram. Neither has happened. Ms Hadiza Bala Usman, a leader of a group that campaigns for the girls' release, said Ms Ali told her that at least six of her classmates had died, some in childbirth and others in clashes between Boko Haram and the military. Government and military officials could not confirm the account. Through the years that Boko Haram has been terrorising Nigeria and neighbouring countries, militants have killed many children in attacks on schools. But the abduction in Chibok gained worldwide notoriety, motivating a global social media campaign with the hashtag #BringBackOurGirls.